Emergency personnel at The Jungle in Concord to treat customers affected by a pepper spray fight Saturday evening, April 13, 2019. Photo by Concord PD. On Saturday, April 12, 2019 at 7:08 PM officers were sent to The Jungle (located in the Willows Shopping Center) for a report of a fight involving “5-10 young males and females”. Our Dispatch center then started receiving additional calls that pepper spray had also been used during the fight. When we arrived, we learned that all of the involved parties in the fight had already left the scene. 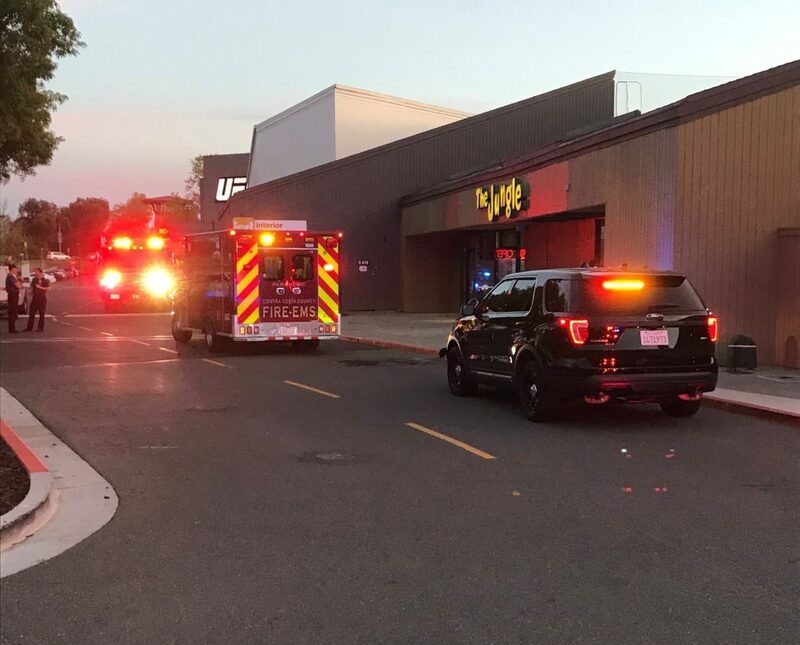 Approximately 25-30 customers (infants/minors and adults) came out after being exposed to the pepper spray, with some vomiting and complaining of difficulty breathing. Contra Costa Fire was immediately dispatched to check on the customers. Everyone affected at the scene was treated and released by medical personnel. At this time we are still reviewing surveillance footage and talking to the patrons that were on scene. We do not have any suspect information to release at this time. If you have any additional information about this altercation please contact our Dispatch Center at (925) 671-3241, or our anonymous tip line at (925) 603-5836.